Have you colored the Eggs yet? We already did a few – but only on paper? 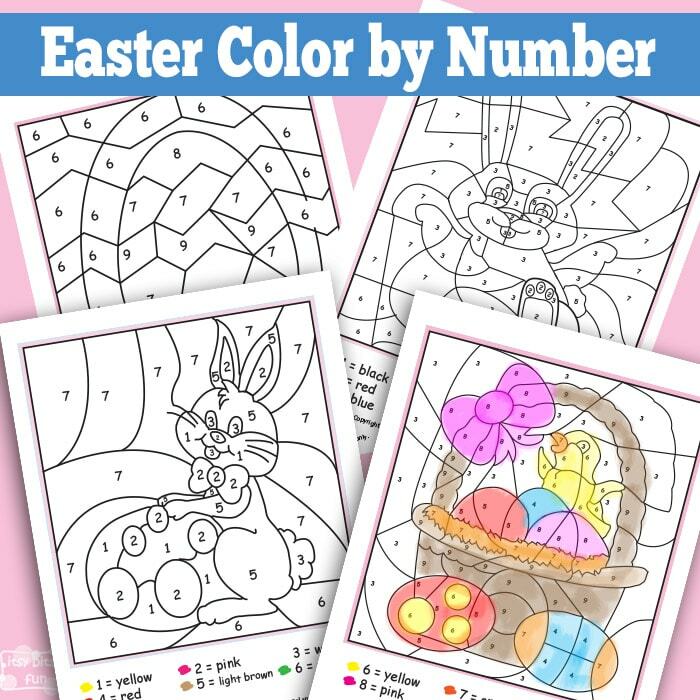 With these Easter color by numbers you can too! Love these kinds of printables? I’ve got a whole bunch of color by number worksheets (and a few letter ones). This was and still is one of my favorite holidays when I was a kid as there was nothing more exciting (or should I say eggciting) than coloring eggs (and later eating them – did I mention I love eggs – I’m crazy about them). These are all fairly easy (some more than other) and are perfect for kids in kindergaren and in preschool as all numbers are under 10. You can even laminate these and have the kids color them with permanent markers (perfect for day care centres and schools). 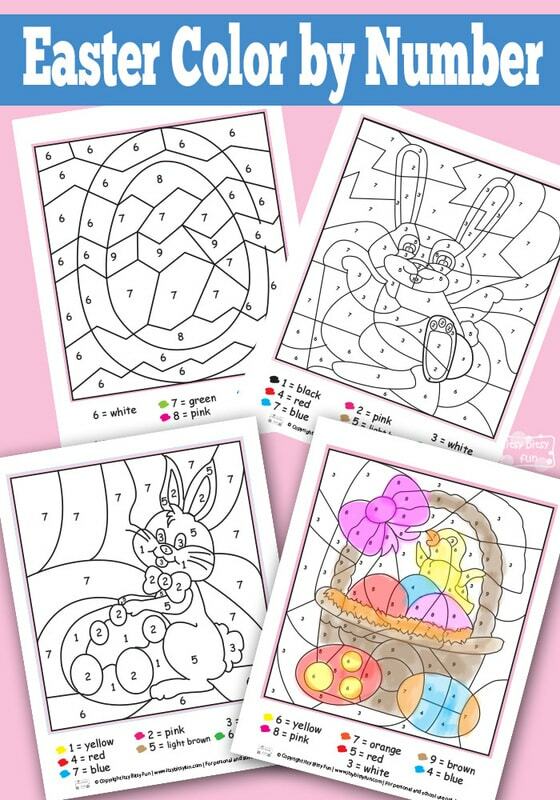 There are 4 different pages with Easter motives to color. 1 page a with an Easter egg to color. 1 page with a bunny. 1 page with a bunny and an Easter egg. 1 page with a a basket full of eggs and a chick in it. Get your free printable Easter Color By Numbers here. Liked these? Also check the other Easter color by numbers as the holiday will be here any minute!